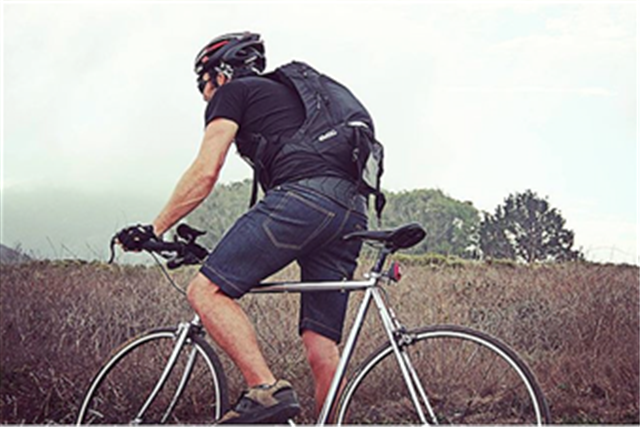 As bike-riding in the United States has dramatically increased in popularity, so has innovation for denim cycling apparel. Resolute Bay, a London-based clothing brand geared for the casual commuter, has skillfully bridged denim and the cycling lifestyle. Its limited run of “RB2” jeans are created with raw Japanese denim. While the quality and durability are impressive, the best part is that these jeans feature a reflector for safer riding at night. Their denim shorts, made of cotton and nylon, are highlighted by a back panel which can be unzipped to show a reflector as well. The design also provides a more comfortable ride. Manufacturing all of its products in the UK, Resolute Bay has found the perfect marriage of denim and inventive bicycle safety.